Choose from 70 hotels and guest houses in Conwy. Shown below a just a selection of the hotels available. To search within an area please use the menu on the right. A friendly welcome awaits you at the 4-star Burleigh Guest House, which is in the centre of Llandudno, a 2-minute walk from the North Pier and beach. Free wireless internet available. All rooms are fresh, clean and well decorated with a modern feel. Room facilities include a free hospitality tray, bottled water, toiletries and DVD players. The Burleigh Guest House is overlooked by the rocky headland of the Great Orme. Bars, restaurants, shops and the theatre are within easy reach. This non-smoking guest house does not accept children under the age of 12. Situated only 50 metres from the pier and the sweeping promenade, Lynton House is a superior, family-run guesthouse that has been awarded 4 AA stars for elegance and cleanliness. This immaculately maintained guest house lies under the Great Orme, just off the seafront. Most of the bedrooms have been refurbished and all of the rooms are modern, comfortable and finished to a high standard. Hospitality is warm and welcoming and there is a comfortable lounge overlooking the pretty courtyard. The lounge has an honesty bar for residents and is a great spot to sit and relax or watch TV. Free Wi-Fi is available in the lounge and in some of the rooms. Please advise the guest house in advance if you would prefer a room with Wi-FI. Please note that Lynton House does not have a lift. Rooms on the lower floors are available. There is a small car park for guests' use (subject to availability). 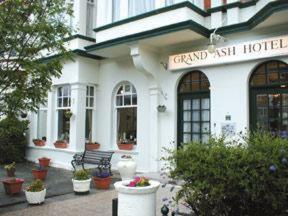 The Grand Ash Hotel is perfectly situated at just a 15 minute level stroll to the promenade, pier and town centre. You can look forward to a warm welcome from our General Manager and staff. The hotel features a large lounge area with plenty of comfortable seating, regular evening entertainment, a well stocked bar and a lovely bright dining room. 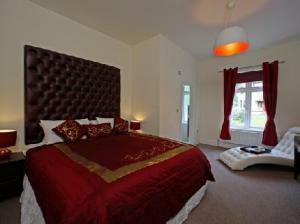 All 33 bedrooms, although simply furnished, feature en suite facilities, colour tv and tea and coffee making facilities. A lift serves all floors. Please note that all of our bedrooms are non-smoking. Situated at the gateway of Snowdonia's National Park, this small, family-run B&B is set within an area of natural beauty, amidst the rolling heather moors of the Hiraethog. Llwyn Onn is a former Victorian Watermill sympathetically restored into a modern welcoming guest house. Nestled amid 6 acres of land, the house boasts beautiful views, a natural lake to the front, with ducks and local wildlife, and open fields leading up to the Berwyn Mountain range behind. Within easy reach of Clocanog Forest and Lynn Brenig, which is popular for fishing and boating, the house also provides the perfect base for walking holidays; nearby you will find Bala Lake and Betws-y-Coed and Denbigh Moors. Bala Lake also offers white-water rafting and sailing. The Grand Hotel is in a Premier position overlooking the town's attractive bay and well kept promenade. A value for money hotel offering fantastic entertainment each and every night. Nestled at the foot of the spectacular Great Orme, right on Llandudno Pier and within easy reach of the town centre and promenade. The hotel offers a nightly entertainment package including floor shows, cash bingo, visiting artistes plus sing-along and karaoke. 3 Course evening meal available. Please contact the hotel directly in advance of your reservation to arrange this service. 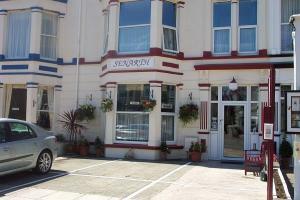 This central Victorian hotel is on the edge of Llandudno town centre and 200 metres from the seafront. The Broadway Hotel is a family run hotel that has undergone refurbishment in most areas. It is well-located for visiting the beautiful countryside of Conwy and Snowdonia National Park. The bright and airy dining room has a relaxed atmosphere and serves a variety of meals from menus that change daily. This elegant Victorian seafront guest house has magnificent views of Llandudno's sweeping bay and impressive Great and Little Orme headlands. St. Hilary Guest House offers beautifully decorated en suite rooms and a guest sitting room. Breakfast is served in the lovely breakfast room overlooking the bay. Guests return time after time as they enjoy the quality and service offered in a friendly and homely atmosphere. The guest house is included in the AA's Britain's Best B&B Guide 2009. The guest house is only 5 minutes' walk from Venue Cymru (North Wales Theatre and Conference Centre), and essential shops and services are within 200 metres. Amid 16 acres, surrounded by calm woodland slopes on the banks of the River Conwy, this Victorian country house offers a unique location in the village, with an emphasis on peace and quiet. Craig-y-Dderwen is a traditional hotel in the small, but popular village of Betws-y-Coed. Just 5-10 minutes' walk from the village centre, Craig-y-Dderwen is the only hotel situated away from its busy main road. With free parking, this is an excellent place to relax and plan your stay in the Snowdonia National Park. Most rooms have beautiful views of either the Conwy Valley or the flowing river. The Riverside Restaurant also overlooks the river and offers AA Rosette-quality cuisine. A choice of bars means you can either relax beside a real log fire, or overlook the 16 acres of hotel grounds. Opposite Wales' most beautiful waterfall, 3.2 km (2 miles) outside of Betws-y-Coed, this hotel combines the classic quality of a Victorian coaching house with the relaxed ambience of a modern establishment. Recently refurbished, the spacious rooms all offer en suite facilities, with most benefiting from panoramic views of the surrounding countryside. The dog-friendly hotel has a traditional pub serving fine ales, while the Tavern Cafe serves lunches and snacks throughout the day. The restaurant serves evening meals, and tables should be booked in advance. In the heart of Llandudno, this beautiful Victorian town house (built 1846) offers 4-star guest accommodation amid many original features. With just 2 en suite rooms, Fourteen offers a warm Golden Award welcome and friendly, personal service. Both rooms have a flat-screen TV with Freeview channels and a DVD/CD player. The rooms have tea/coffee and fresh milk is always provided. Free Wi-Fi is available. 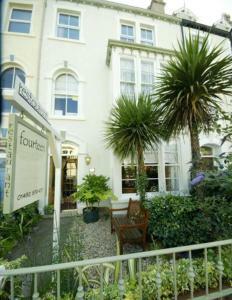 This charming guest house is in the centre of Llandudno, North Wales. The elegant promenade, seafront and the award-winning pier on the North Shore are a short walk away. Chapel Street has plenty of free unrestricted parking and there are 3 public car parks nearby. This family-run guest house enjoys a peaceful location in one of Llandudno's quiet tree-lined avenues, yet it is within easy walking distance of the beach and all the major attractions. Karden House has a great location from which to explore all that the seaside town of Llandudno has to offer. The beach is just a short walk away and the town centre is also within easy reach. For travel slightly further afield, the guest house also has great transport links, as Llandudno railway station is just around the corner. In the evenings, you can sink into the sumptuous leather seats in the TV lounge and enjoy a drink from the licensed bar, which offers a full tray service. Alternatively, during the warmer months, you may choose to sit out in the Karden's delightful patio area at the front of the property, which is a designated smoking area. You will be sure of a warm friendly welcome from Gwynneth and Philip when you stay at Craiglands House. Craiglands is a fine lovingly maintained Victorian House less than 100 yards from the promenade, enjoying many original features, creating an atmosphere of warmth, comfort and tranquility. All rooms are en suite with TV and tea/coffee making facilities. Four-poster and king-size beds available. Start the day with an excellent, freshly cooked breakfast in the pleasant dining room. In a quiet tree-lined street, just off the main road in Colwyn Bay, this beautifully redecorated period property offers free parking and comfortable accommodation in a great location. The Bron Wylfa Hotel is just 5 minutes' walk from the town's beach, the pier, the theatre and all of the local shops. Colwyn Bay railway station is just minutes away, providing easy access to all of North Wales. This attractive period hotel is also close to local bus services, for exploring the town and the surrounding area. Free off-road parking is available for guests and there is secure garage parking for motor bikes. Breakfast is included in the price. The hotel has a dining room, which can seat up to 40 and evening meals are available. There is also a guest lounge with a small, cosy private bar. In the summer, the hotel's roof garden is a great spot to relax and enjoy the sunshine. This Grade II listed building dates back to 1706 and is located in the beautiful village of Betws yn Rhos. Ffarm Country House is set in set in 2 acres of grounds and is ideal for all types of stay. All rooms have a flat-screen TV, a DVD player, robes, slippers and an en suite bathroom. There is a village pub 4 minutes' walk away, and walking, golf, shooting, fishing, climbing, tennis, dry-slope skiing and sailing can be enjoyed in the local area. There are also castles and historic houses to explore. After 5 years of sensitive renovations, this historic old coaching inn now offers beautiful, boutique, town-house accommodation, free parking, free Wi-Fi and excellent cuisine in the heart of Conwy. The Castle Hotel stands on the site of an old Cistercian abbey and used to consist of two famous hostelries, the Castle and the 15th-century King's Head. Now, after careful restoration and sympathetic refurbishment, this wonderful old hotel offers luxurious accommodation and contemporary comforts and facilities. All of the rooms have been upgraded and are individually styled and furnished. The Club Rooms are slightly smaller, while the Premium Rooms have added extras, such as Bose sound systems. The Deluxe Rooms boast impressive unique features, such as castle views, spa bathrooms or 16th century four-poster beds. After a major upgrade, the restaurant and bar offer a brasserie-style menu, which changes regularly to reflect the finest, freshest seasonal produce available locally. 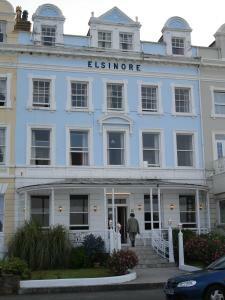 The Elsinore Hotel overlooks lovely Llandudno beach, with the Great Orme on the left and the Little Orme on the right. The Elsinore Hotel is the ideal centre for touring North Wales. The enchanting castles steeped in history, the magnificent beauty of Snowdonia, Betws-y-Coed and the Lleyn peninsular are all within easy reach and when the day is over, it's nice to return to the comfortable, friendly Elsinore Hotel. The hotel has a tradition of friendly, welcoming service and guests are assured of comfortable and relaxed surroundings to enable them to take full advantage of Llandudno's invigorating climate. 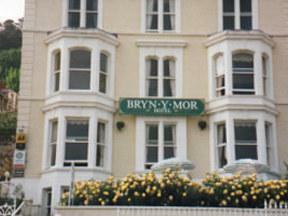 The hotel provides some of the best accommodation in Llandudno at affordable prices. Rooms are tastefully decorated, while maintaining your comfort as our foremost priority. All rooms have en suite facilities. We specialise in groups and can accommodate a full coach party in en suite rooms. This comfortable, privately-owned guest house has a relaxed, homely and very friendly atmosphere with a cosy guest lounge and bar for maximum relaxation. All rooms are comfortably furnished with an en suite bathroom, hospitality tray, Freeview TV, adjustable central heating and other facilities. Whether you are a family, couple, or individuals looking to relax, The Senarth is ideal. It is located minutes from the town centre and the promenade, with off street parking. Restrictions apply when booking on public holidays, please read the policies and Important Information sections before booking. Close to all of Llandudno's main attractions, the non-smoking Westbourne Guest House provides breakfast and, if required, an evening meal. The Westbourne has a cosy guest lounge and bar. All of the rooms are en suite, comfortably furnished and with hospitality trays and TVs. Phil and Gill ensure your stay at the Westbourne Guest House is a memorable one. Located on the sea front in Llandudno North Wales, this family-run guest house is set within an elegant 5-storey Victorian building which boasts wonderful sea and mountain views. Situated on Llandudnos North Shore, the houses central position enables you to easily access all that this popular seaside resort has to offer. Just a short stroll away you can find the towns shops, pier and Venue Cymru Theatre and Conference Centre. After a long day exploring the areas beautiful coastline, you can return to the comfort of the guest house and relax in the ground-floor lounge, which features a digital television, DVD player and games console, with a good selection of games, DVDs and books. The Promen?d B&B also has complimentary high-speed Wi-Fi access. 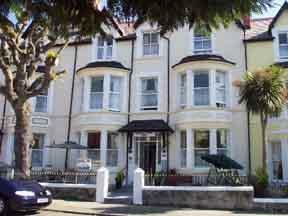 On a pretty Llandudno street, close to the seafront and tramway, Stella Guest House is a delightful B&B serving great breakfasts. Reach the town, pier and seafront in 3 minutes. Each clean and comfortable bedroom has a flat-screen TV and free wireless internet access. Stella Guest House is ideal for a lovely stay in Llandudno, where you can explore the Orme Tramway and the town itself, or travel further afield. The Sunnyside has been recently refurbished and is a family-run establishment in a superb location near the Great Orme in Llandudno. Set just off a well-preserved Victorian promenade, comfortably decorated en suite rooms offer the added convenience of TVs and tea/coffee making facilities. An inviting restaurant (to seat 45) is on hand, complimented by a well-stocked bar/lounge. The Sunnyside is situated just 5 minutes' walk from Llandudno pier and promenade, and just 10 minutes' walk from the Llandudno Ski Centre and West Shore. Please note that the Sunnyside operates a completely non-smoking policy. This traditional, family run, independent hotel offers uniquely styled accommodation in picturesque Llandudno. Found on the north coast, this is the largest seaside resort in Wales, near to Snowdonia. Llandudno uniquely combines the Victorian splendour of a coastal resort with the modern attractions and amenities of a bustling town. It is a popular tourist destination for visitors of all ages, offering something of interest to everyone. The hotel is renowned for its comfort and friendly, relaxed and informal atmosphere. We are committed to provided a high standard of service at affordable prices. The Williams family is now in its 3rd generation of caring for our guests, many of whom have been returning for over 30 years. Close to the centre of Llandudno, The Lindens has a relaxing, comfortable atmosphere and a large terrace overlooking the sea. It is about 150 metres from the Promenade. The 12-bedroom guest accommodation is well-located for the town centre. It is close to the dry-ski slope, the cable car lift, the Great Orme Tram, the copper mines, Haulfre Gardens and the Great Orme. Each room is en suite and has toiletries, a colour TV, tea/coffee-making equipment and a hairdryer. 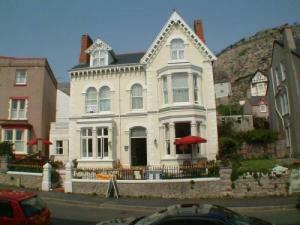 An attractive seafront Victorian accommodation with lovely view of the bay and mountains in Llandudno. 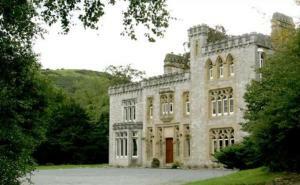 Just off A55, within easy travelling distance to Snowdonia National Park, Castles of Wales and Isle of Anglesey. Our property nestles at the foot of The Great Orme and from our elevated position, commands spectacular sweeping views of the Llandudno Bay, Pier and Little Orme. Although we have magnificent views, our access is from the promenade level and we are only 40 yards from the Pier entrance. The main shopping area, Mostyn Street and the Victoria Centre are just a few minutes walk. 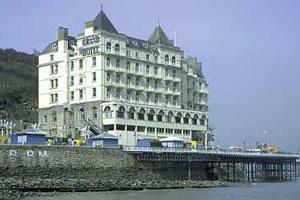 The North Wales Theatre and Conference Centre, as well as the Great Orme Tramway are all close by. Our non-smoking establishment offers the discerning visitor tranquil views from our residents lounge, sweeping views of the bay from our patio and restful superior rooms from which to relax and enjoy the delights of Llandudno. Having your own room key means that you can freely access the property at any time and our friendly, fully trained staff will be on hand to make your holiday special. Outdoor activities are also catered for in Llandudno with access to the North Wales Golf Course's, the Cycle Path, Great Orme Ski Slope and Toboggan Run. Please note that there is no lift. In the elegant seaside resort of Llandudno, this sensitively refurbished Victorian villa offers free Wi-Fi, free parking, stylish individually decorated rooms and a restaurant offering fine Indian dining. Close to the west shore of Llandudno, beneath the famous Great Orme headland, the Space Boutique B & B is within walking distance of the town's visitor attractions, shops and sandy beaches. Llandudno's theatre, the conference centre and the famous curved promenade are all nearby. Stylish and contemporary, each spacious en suite room has its own unique Indian style, combining elegance and luxury with modern comforts and facilities. Each room has a large flat-screen TV and a power shower. All rooms come with luxurious extras including soft, fluffy bathrobes, bottled still water, tea/coffee and high-quality toiletries and bathroom products from L'Occitane. The Jaya restaurant serves truly authentic home-cooked Indian food, made using fresh ingredients, locally sourced whenever possible. Located in the very heart of Llandudno, just 1 minute from the shops, beach and variety of bars and restaurants. 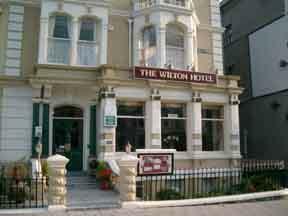 The Wilton is perfectly situated to explore the town, its unique pier and Great Orme with its tram and cabin lift ride. We offer quality at affordable prices. We have a variety of rooms, catering for the individual or the larger family. All rooms are en- suite, have colour TV's, tea/coffee making facilities, hairdryers and clock radios. Some rooms have four poster beds and dvd players. Close to all that the seaside resort of Llandudno has to offer, the Links Hotel is just across the road from the bowling alley and only 5 minutes from the beach and the shops. The Links Hotel is within easy walking distance of Llandudno's new shopping centre; the town's multiplex cinema; the theatre; and all of the town's shops, bars, restaurants and clubs. The Great Orme is just 5 minutes away and you can reach the summit via Britain's longest cable car journey or on the tramway, which is over 100 years old. There are 20 golf courses within 30 miles of the hotel. Free parking is available for guests. The hotel has a large car park, also with disabled access. There is also a children's play area and patio area. The Links Hotel has a lounge bar and a restaurant area. The bar is well stocked, with a selection of cask ales and there is a pool table and a dartboard. An extensive menu is available for lunch and dinner and all the food is freshly cooked using local produce. All of the hotel's rooms are en suite and each room has free wireless internet access and a plasma flat-screen TV. A former 18th century coaching inn, originally part of the Earl of Ancaster's Welsh estate, this comfortable, family run hotel is full of historic character. Resting in the centre of the Dolwyddelan, the hotel offers a unique place to relax at the heart of the Snowdonia National Park in North Wales. Retaining its original character and many fittings, Elen's Castle Hotel has en suite guestrooms to suit all tastes, including four-poster rooms overlooking the Lledr Valley and River, family suites and accommodation to suit walking groups. We also have a bunkhouse for the traveller on a budget. Dine in our intimate restaurant and enjoy a drink by the wood burning stove in our cosy historic bar. 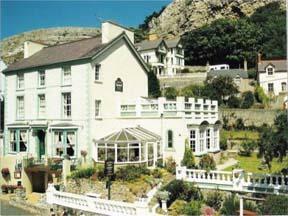 The Clovelly, located in the picturesque Victorian town of Llandudno North Wales. Situated a short walk from the High Street, Promenade, theatre & conference center.Ideal base for touring the many wonderful attractions and sites in North Wales, including Snowdonia Naational Park.